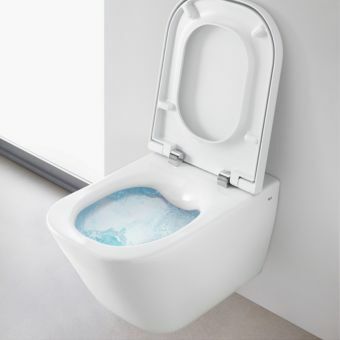 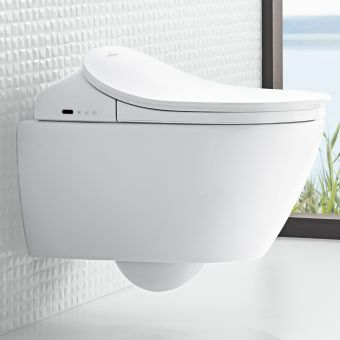 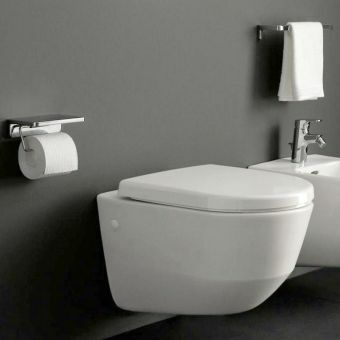 For the contemporary, clean living space, the V & B La Belle Wall Mounted Toilet & Seat 5627 10R1 is an obvious choice, with its unfussy visual statement minimising clutter and allowing the bathroom space to breathe. 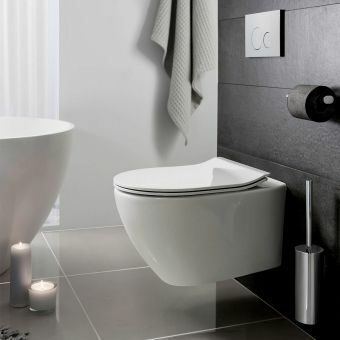 Its minimalist, geometric form lends it to be included in the modern bathroom. 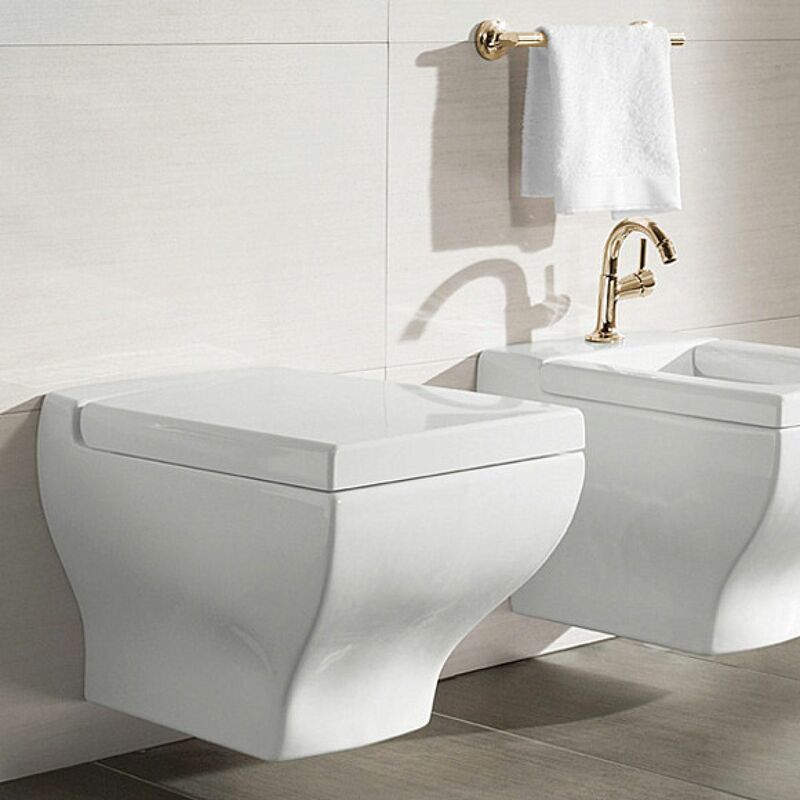 Finished in a brilliant gloss white, it is a clean and hygienic piece that comes with the CeramicPlus surface treatment as standard, its special formula designed to repel stains and limescale. 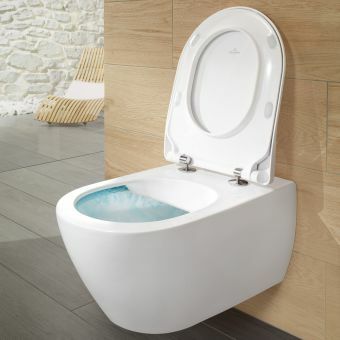 Included in the price is a matching soft-close seat that provides a touch of comfort and gentle luxury. 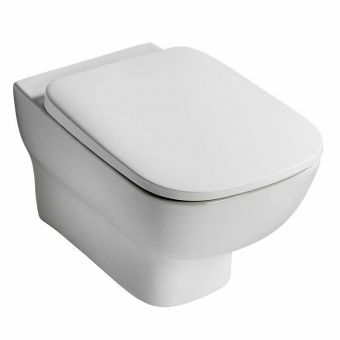 Supplied with a horizontal outlet and a concealed fastening set as standard. 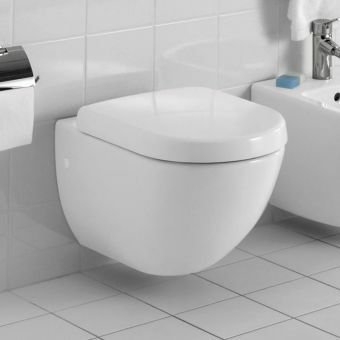 Please note that price does not include the required fixing frame and concealed cistern for this item, both of which can be purchased separately from our site.